Being arrested for a charge of OUI by the Westford Police Department can be a scary situation. For many people whom live in Westford or the surrounding area, being arrested for operating under the influence is their first run in with the law. Many clients are unfamiliar with the court process and how to go about the process after the arrest. 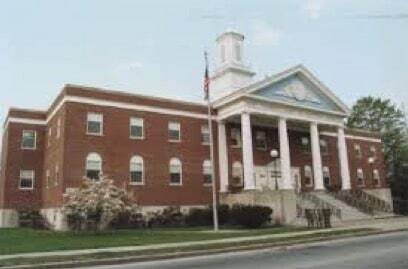 Ayer District Court House, located at 25 East Main Street, in Ayer, MA 01432. Should I Hire an Experienced Attorney to Help Win my Case? After being arrested, many people consider whether or not hiring an attorney will increase their likelihood of beating the criminal charges they are facing. The attorneys at DelSignore Law are familiar with the Westford area and the Ayer District Court; you can rest assured knowing you have an attorney fighting for you and representing you in a court of law. Hiring an attorney, for many people, aids much of the anxiety that follows being arrested for a crime. DelSignore Law attorneys work endlessly on your behalf and truly want the best outcome for their clients. When you hire us, you will always know what to expect at your next court date and you will always be kept up to date in regards to the status of your case. You can read more about the court process and what to expect here. If you have questions or are contemplating hiring a criminal defense attorney, call Attorney DelSignore today at 781-686-5924 for a free and confidential consultation.